Drag created by fouling and corrosion creates fuel inefficiency problems for all boat operators – from dinghies to tankers. For boat operators, the primary impact of fouling is increased fuel consumption when fouling drag creates poor hydrodynamics. In addition to higher fuel consumption, the cost of hauling a vessel out of water to clean its hull or replace corroded metals can be staggering. FoulX was developed to outperform any current salt- and freshwater fouling solutions including paints, epoxies, biocides and multi-formula systems. The simple two-part polymer bottom coating can be applied with minimal surface preparation and will adhere strongly, increasing the time between cleanings & haul-outs for all kinds of vessels. Corrosion and bio-fouling are two major factors in decreased performance and efficiency in boats and ships. On ships alone, some studies estimate increased fuel consumption due to biofouling at greater than 40% (Champ, 2000). 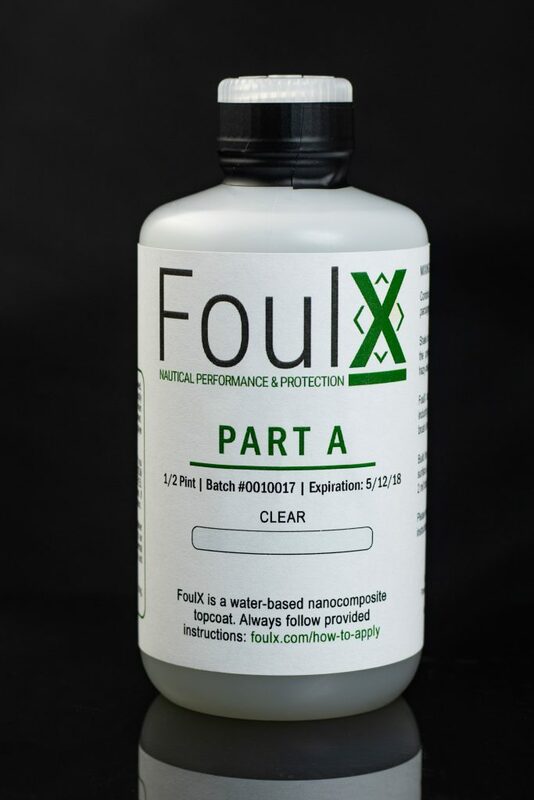 FoulX is a water-based, non-VOC, non-toxic coating that prevent biofilms from forming, releases bio-fouling, and prevents both corrosion and erosion of a boat’s surface substrates. The omniphobic properties repel water- and oil-based solutions, protecting boats and saving boat owners money. Prevent Fouling, Lower Drag. Increase Performance, Save Fuel. FoulX can save boat operators huge amounts of money in fuel costs and marina costs from hauling out. The formula has a short preparation & application time, minimizing effort to apply the simple two-part polymer coating. FoulX can also increase a boat’s lifespan by preventing harmful corrosion and erosion. FoulX brings together the best attributes of previous, epoxy and paint solutions while reducing the effort and expense to the owner/operator and negative impacts on the marine ecosystem.